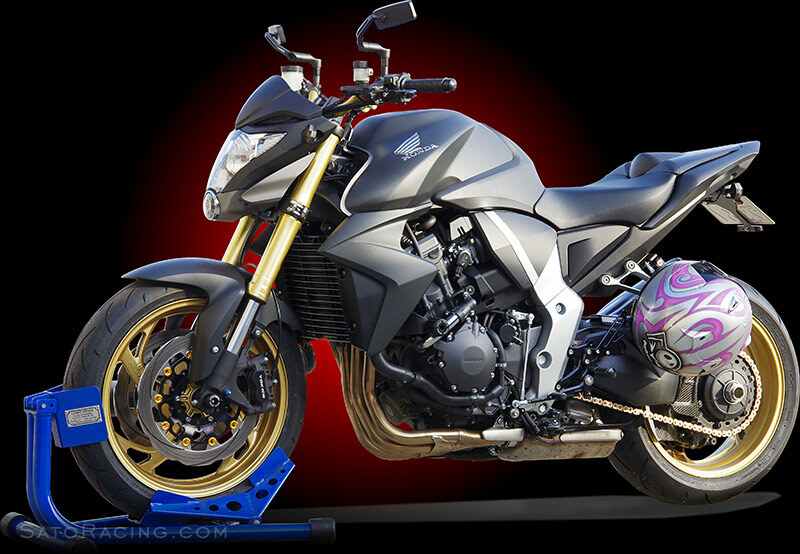 SATO RACING Rear Sets for 2008-16 Honda CB1000R are CNC-machined from billet aluminum and anodized in your choice of Black, Silver (clear metal), or vivid Gold finish. 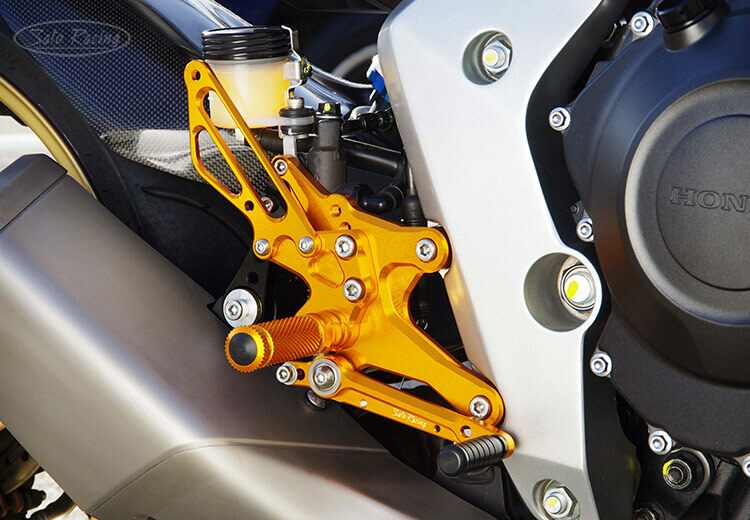 Modular step plate design lets you select from 6 adjustable positions that can bring your feet higher up and further back compared to stock, for a sportier riding position ideally suited for the high speeds and extreme lean angles encountered on the track. Easily switch to GP-style reverse shift pattern too. with a solid feel. 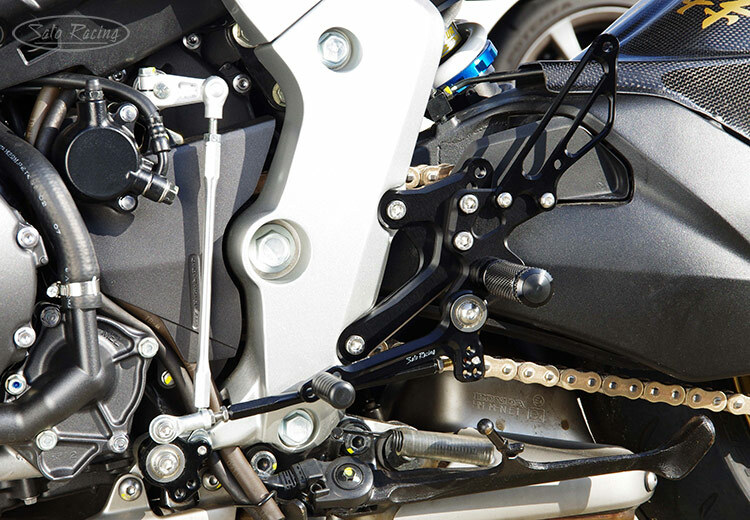 These Rear Sets are compatible with the CB1000R's stock brake light switch. 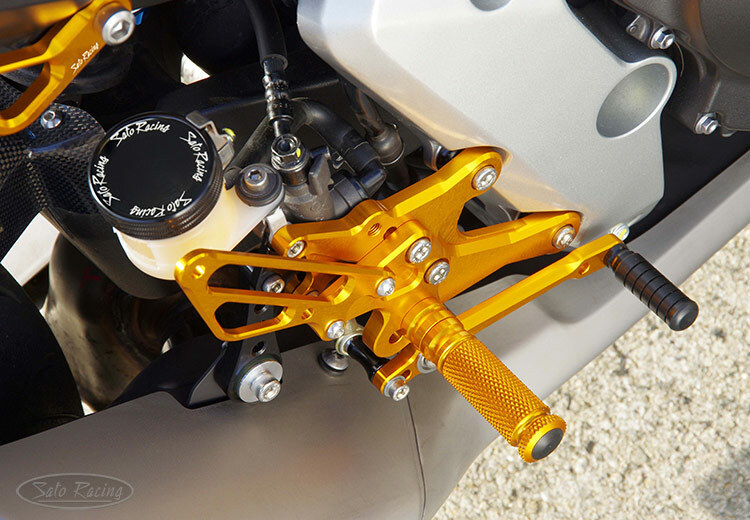 These Rear Sets can be set up for either stock shift pattern (shown above), or GP-style reverse shift pattern by relocating where the Sato shift rod attaches to the shift link. 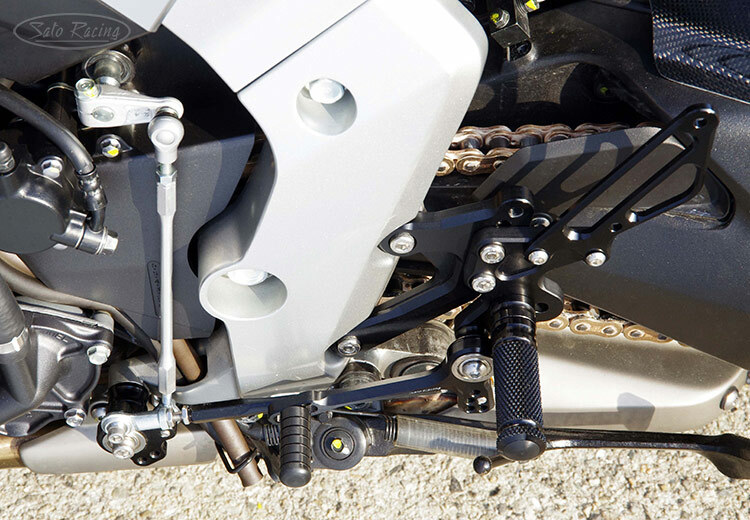 See the animated GIF below which illustrates this shift link design on another Honda model.